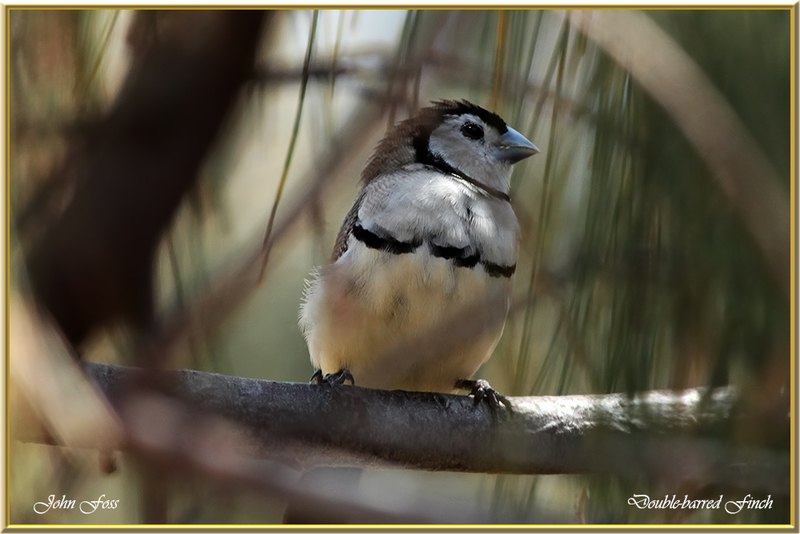 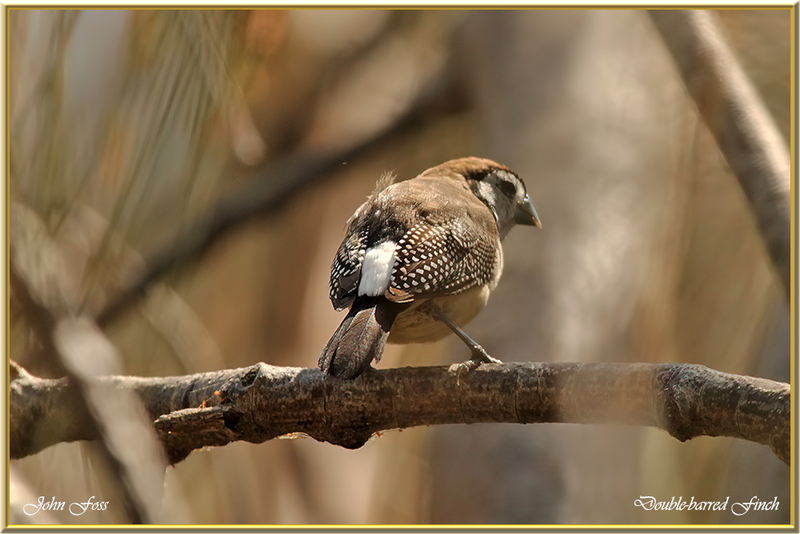 Double-barred Finch - inhabits dry grassland and the shrublands around northern and eastern Australia. 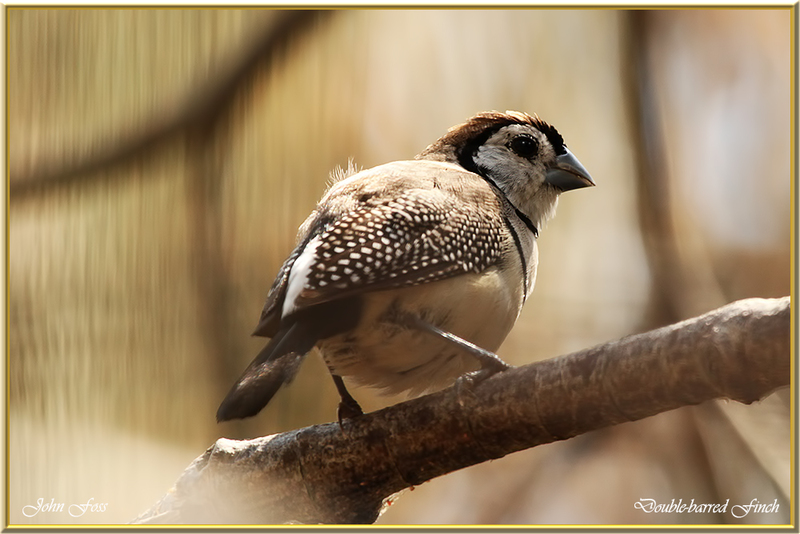 They are sometimes called owl finch as the dark ring around the face resembles an owl. 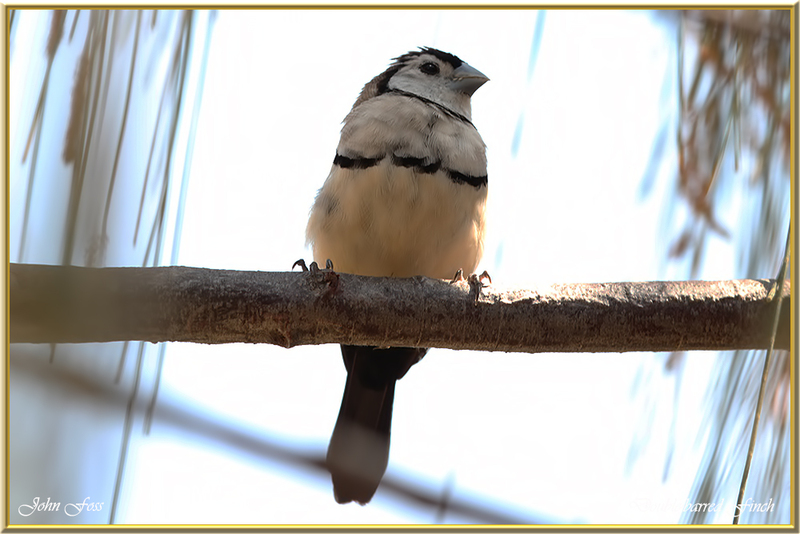 Usually seen feeding in flocks. 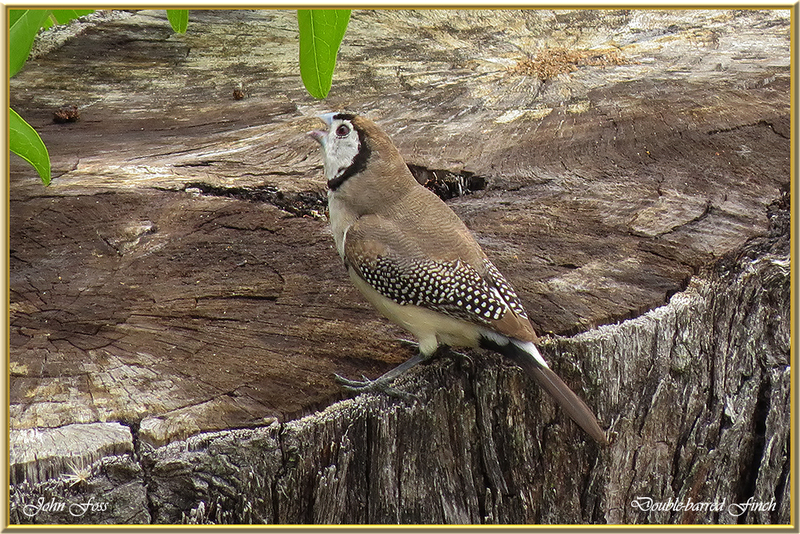 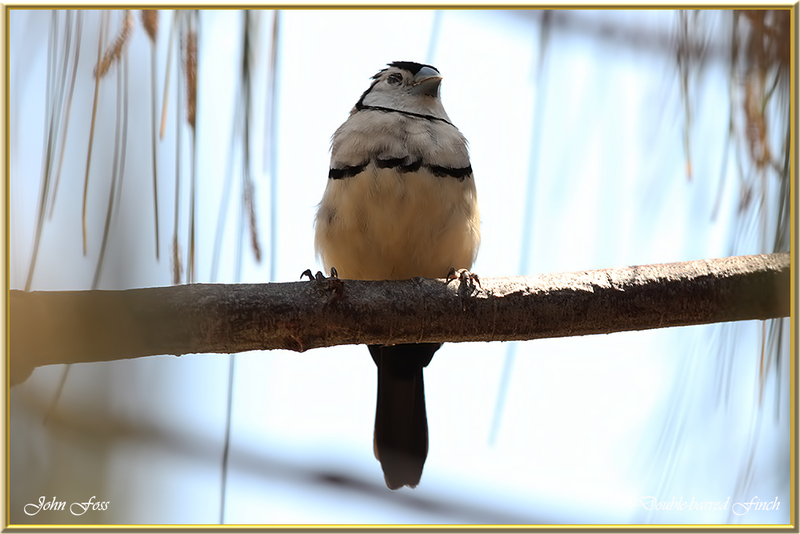 I photographs these handsome birds in Bundaberg Queensland Australia.